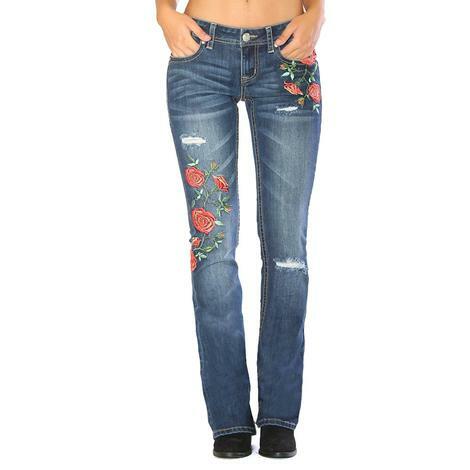 This jean by Grace In LA comes in a dark wash ans is heavily sandblasted with a natural whisker pattern, patchwork and floral embroidery. 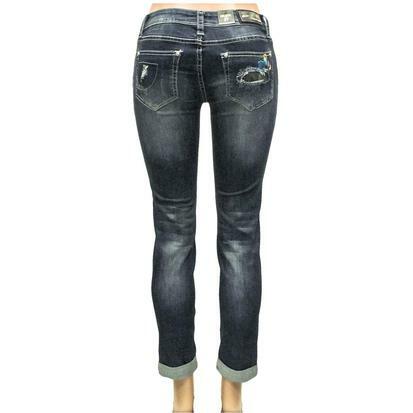 This skinny jean by Grace In LA has plenty of stretch and features a dark wash with neautal embroidery throughout the jean. 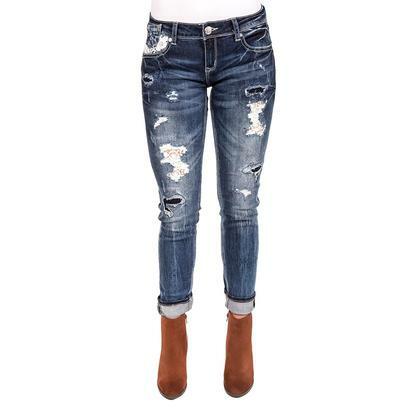 Functional pockets. 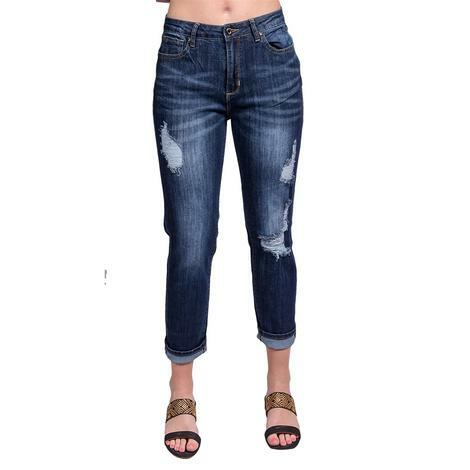 These dark wash, heavily sandblasted skinny jeans by Grace In LA have a natural whisker pattern, sight distressing, and a lace contrast that is sure to turn more than a few heads. 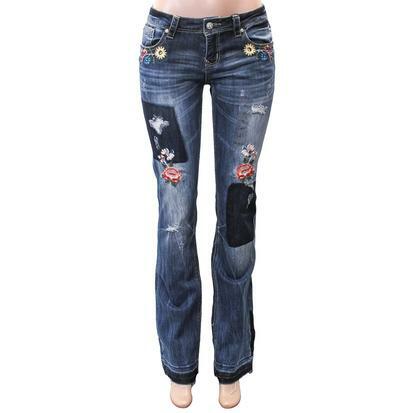 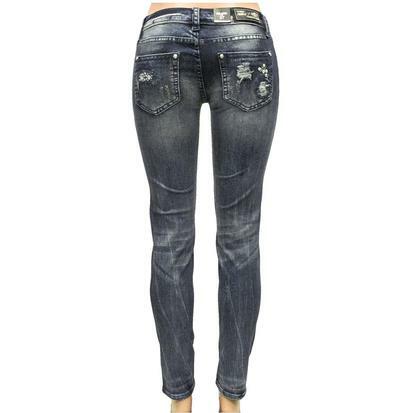 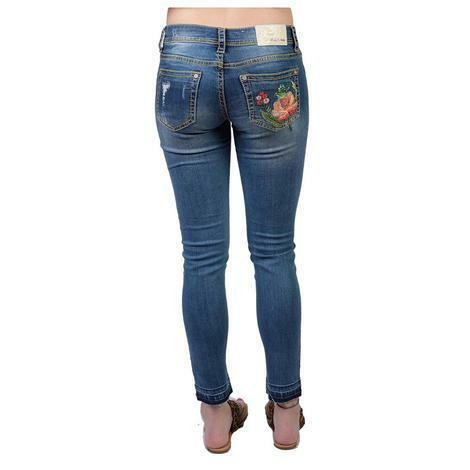 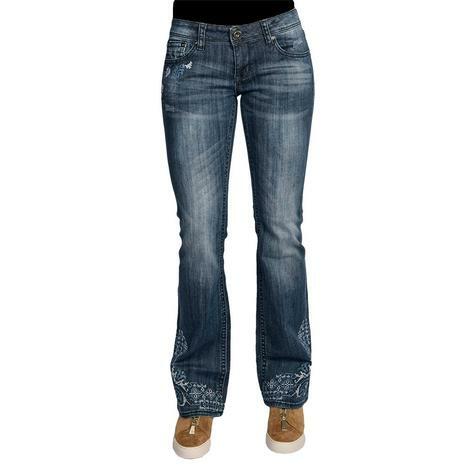 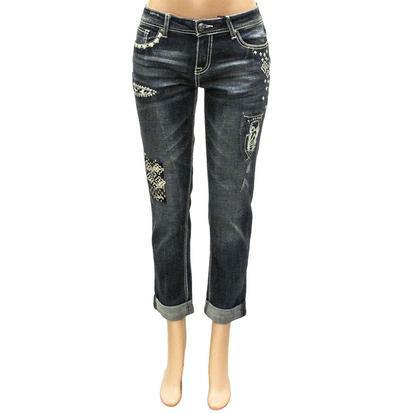 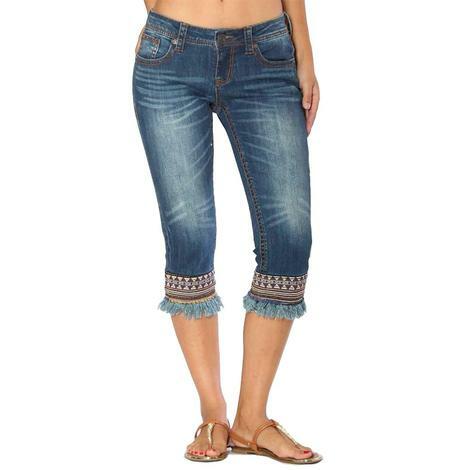 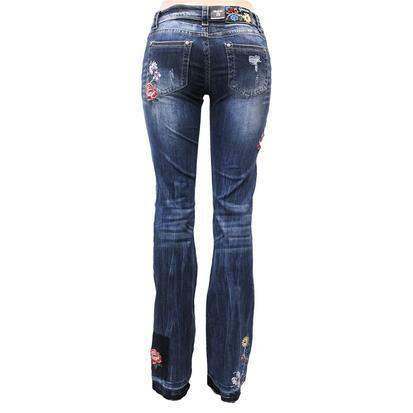 These distressed jeans by Grace In LA have white daisy lace over one back & front pocket and lining the front legs. 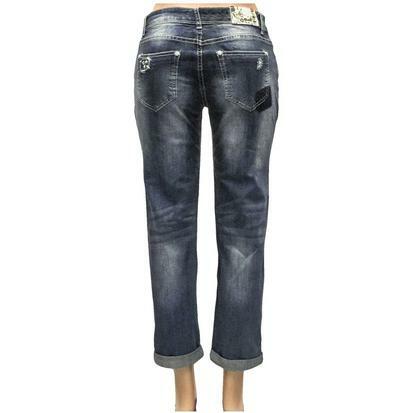 Comes in a dark wash. 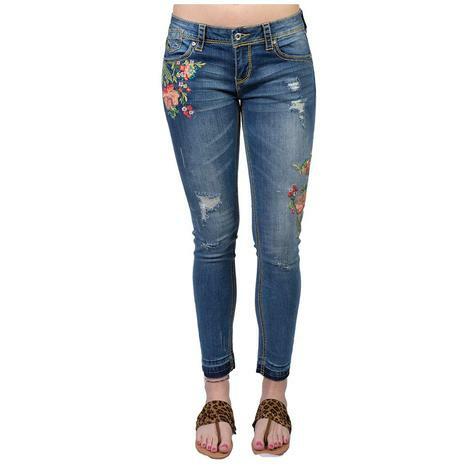 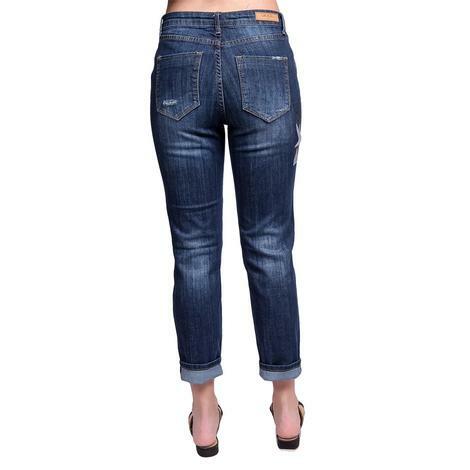 These skinny jeans by Grace In LA are made from 98% cotton and 2% elastane for a perfect fit every time you put these on. 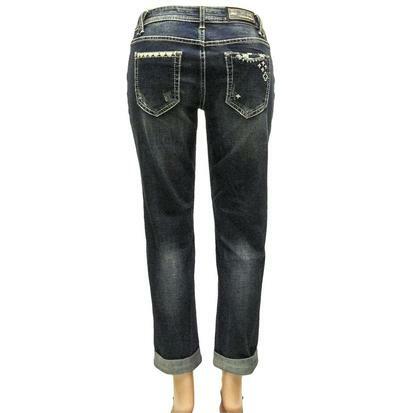 Dark blue with fading throughout the jean.